Coach O'Sullivan is the CO - Founder of the Cork Admirals. Ciaran coached Defence and played Linebacker. In 2006 he took over as HC of the Admirals for their first winning season. In 2007 he coached the Admirals Youth Team. 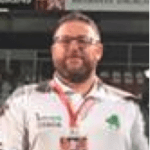 In 2008 Ciaran moved to the University of Limerick, coaching the Shamrock Bowl XXII winning Defence, taking over as HC in 2009 and winning Shamrock Bowl XXIII & reaching three further National Finals. In 2010 he won E.F.A.F.s Atlantic Cup & named I.F.A.F.s (World) Team of the month for August. In 2013 he Coached Team Ireland U20’s Offence to historic win. 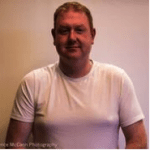 In 2014 Ciaran qualified as Coaching Ireland Tutor. He has been HC of Team Ireland since 2016. Brendan was part of the Craigavon Cowboys that won Shamrock Bowl 1 in 1986 and played in Shamrock bowl 2 in 1987. 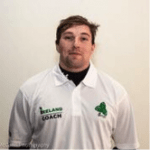 Brendan brings a wealth of experience from playing Quarterback and Running Back to the Ireland setup. 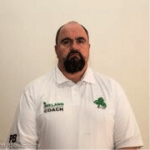 Brendan previously worked as both Offensive Coordinator and Head Coach with the North Kildare Reapers winning IAFL Division 1 in his first season gaining promotion to the SBC. 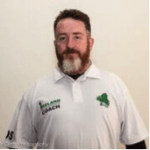 Glen Carr has been involved in American football in Ireland for the past 12 years as both a player and coach for the University of Limerick Vikings. He has helped lead them to three shamrock bowl titles as a captain and a defensive coach. His Vikings defensive teams have been ranked consistently in the top 2 in the country. A former IAFL player with the Meath Bulldogs and South Dublin Panthers, Coach McDonnell began his coaching career with Team Ireland U23’s team that defeated the Greendell Falcons of Canada in 2013, he has since served as Offensive Coordinator at the South Dublin Panthers and Running Back Coach with the Senior National Team the past two seasons and has recently been appointed as Head Coach of the Panthers. While reading for Sport Science BSc. Hons in 1997 Stephen played with Cardiff Cobras in BCAFL and was selected for Southern Wildcats. Stephen started at CB for the GB Bulldogs going on to win the European Student Championships. Stephen played and coached with the Dublin Rebels for 11 years winning 6 Shamrock Bowls. Coach Canning been involved in sports coaching across several disciplines for almost 30 years, but has focused solely on coaching American Football for past four years. Pete spent 3 years working with the Dublin Rebels as Strength & Conditioning coach and also worked with the Rebels DB unit during his tenure there. He holds qualifications in S&C, Athletic Development and Performance Coaching and has a particular interest in sports high performance development. Originally from Iowa, USA, Coach Klatt played quarterback at high school and college level. After moving to Ireland, he joined the 1987 Dublin Celts, the Shamrock Bowl II champions that year. In 2016, Kevin became the head coach of the newly-formed Wexford Eagles, who achieved a 6-0 regular season record and promotion to IAFL1 after their first season. 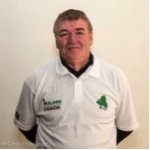 Paul has been involved in Irish American Football for over 20 years, both as a player and a coach. Paul brings a wealth of experience from playing offensive line to the Ireland setup. Paul has represented Ireland on a number of occasions against both American college teams and UK teams. 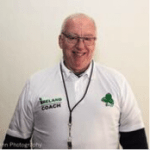 Currently working as part of the coaching staff at the Belfast Trojans, he was Head Coach at the Tyrone Titans who under his guidance had a perfect season. Coach O’Sullivan has a background in high performance sport as an athlete, analyst and coach. He began his American Football career in 2007 with the DCU Saints and later the West Dublin Rhinos. He is involved with Leinster Rugby and has worked with other provincial sides. 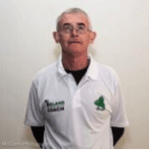 He is currently the Defensive Coach for the South Dublin Panthers, and now brings his professional expertise to the National squad. Liam played with the University of Limerick Vikings from 2002 to 2012. As a Player Coach he contributed to the Vikings 6 Shamrock Bowl appearances in a row, winning 3. Uniquely won Shamrock Bowl XXII as a starting safety, then won Shamrock Bowl XXIII as starting QB & OC, giving Coach Ryan a unique insight into his opponent’s mindset. Liam played for the National Squad, scoring a safety in a game against John Carroll (2004) and has been part of the National programme as DB coach since 2015. Dave started his American Football career as a player with UCD American Football. Playing Offence and Defence for 6 years. He became Head Coach of the team in 2015 and after the team’s stellar 2016 campaign was asked to contribute to the National Team as the Wide Receivers Coach. Brian had a long and distinguished career both playing and coaching American football in Ireland. Brian began playing in 1991 and played 14 seasons in the Irish league for 4 different teams: Tornadoes, Bulls, Tigers and Rebels, primarily at the running back position. 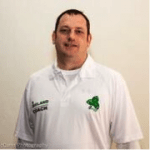 As a player, Brian contested 11 Shamrock Bowls, and won 8. 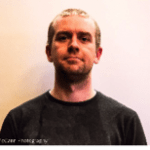 Brian also served 7 years as offensive co-ordinator for the Tornadoes, Bulls, Tigers and Rebels, leading some of the highest scoring offences in the league. Brian earned 15 caps for Ireland. Coach Burrows arrives to Irish American Football on the back of 10 years competing, coaching and officiating in Irish Basketball. She completed a BSc. 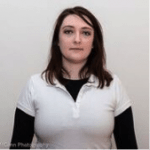 in Sport Science and Health in 2013 during which she conducted award winning research on coaches’ attitudes towards mental health issues in athletes. She is currently undertaking a PhD on the career transitions of Olympic and Paralympic athletes. Her coaching philosophy centres on being “Competition Ready”.